Given the chance, building a green home seems like a no-brainer. While green homes may cost three to five-percent more than conventional buildings to construct, that investment pays for itself in the long run in 30 to 50-percent energy savings as well as in other environmental benefits. 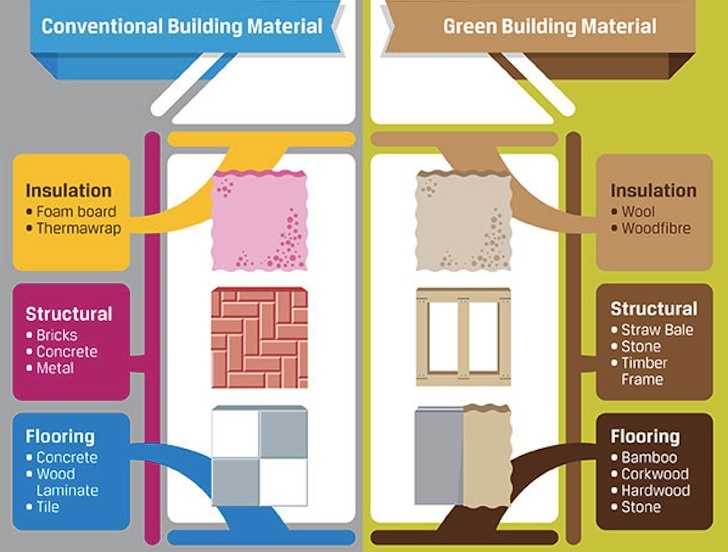 To help get you started on your green dream home, Able Skills created an infographic that shows green alternatives to conventional building materials for insulation, structural components, and flooring, and explains the reasons behind those choices. Click through to read through them all—even if you can’t start from scratch, this infographic may inspire you to do a few green home upgrades!